Beginning on Friday, November 30, the leaders’ summit for the 2018 G20 Buenos Aires meeting will begin. 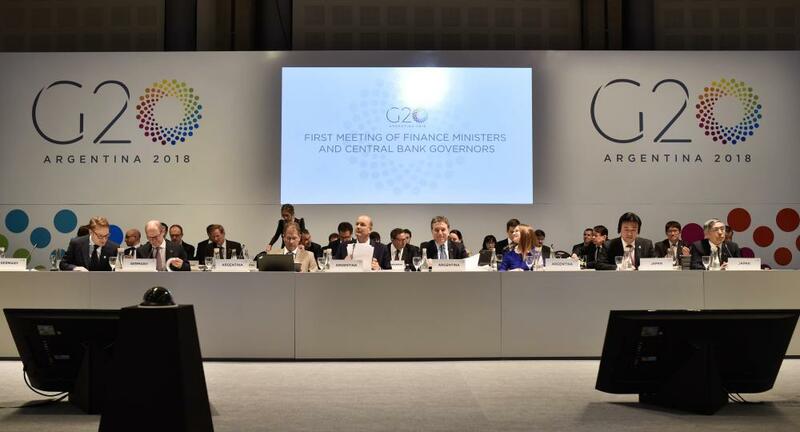 The G20, comprised of 19 of the world’s major economies and the European Union, has held several meetings in Buenos Aires this year, but the leaders’ summit will be held from November 30 to December 1. The summit is scheduled to take place at the Costa Salguero convention centre, which is located adjacent to Jorge Newbery International Airport, in the Palermo neighbourhood. The summit’s agenda priorities include discussing ‘the future of work, infrastructure for development, and a sustainable food future.’ Aside from the scheduled talks, several world leaders and delegates have indicated their desire to discuss regulation of the crypto-currency industry. Additionally, high-profile world leaders, such as UK Prime Minister Theresa May, US President Donald Trump, Russian Federation President Vladimir Putin and Chancellor of Germany Angela Merkel, will use the time to meet with one another regarding other world matters. In preparation for the event, the Argentine government will be implementing an additional 25,000 security personnel across the city- mostly near the convention centre and in popular protest locations. Government and G20 officials have indicated that the additional security units are being used in efforts to prevent the violent protests and riots that occurred during the 2017 G20 Leaders’ summit in Hamburg, Germany. The US military will also provide security for the event, with troops and equipment being stationed in Montevideo, Uruguay. There will be an exclusion zone implemented around the Costa Salguero convention centre leading up to the summit. A three-ring security perimeter will be established, with restrictions tightening the closer one gets to the convention centre. A similar tactic was utilized in Hamburg in 2017 to prevent protesters from reaching the meeting hall. Additionally, Jorge Newbery International Airport, El Palomar Airport, San Fernando Airport, and Moron Airport will be closed to commercial flight traffic from 29 November to 1 December. Ezeiza International Airport will remain open during the summit, but heightened security provisions are expected. There has been a recent history of large-scale protests in Argentina, most notably in Buenos Aires, over the government’s deal with the International Monetary Fund (IMF). In light of this, as well as smaller protests during lesser G20 events, large demonstrations are highly likely to occur near the Costa Salguero convention centre and at prominent public locations in Buenos Aires. With the deployment of additional security officers, clashes amongst protesters and with officers cannot be ruled out. Thus, the use of tear gas, riot gear, and water cannons is to be expected in the event that such violence occurs. Road closures and security checkpoints will be in place near the convention centre and likely along access roads leading to it as well. As a result, vehicle traffic will be congested in the area. It is likely that Buenos Aires Underground (Subte) stations near the convention centre will be closed and routes servicing those stations will terminate early.